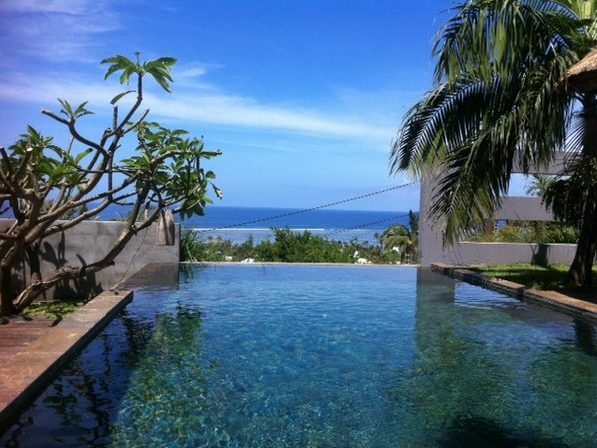 With an overflow swimming pool, the waterline becomes mixed up with the scenery and the horizon, and this brings an effect of enchanting continuity. 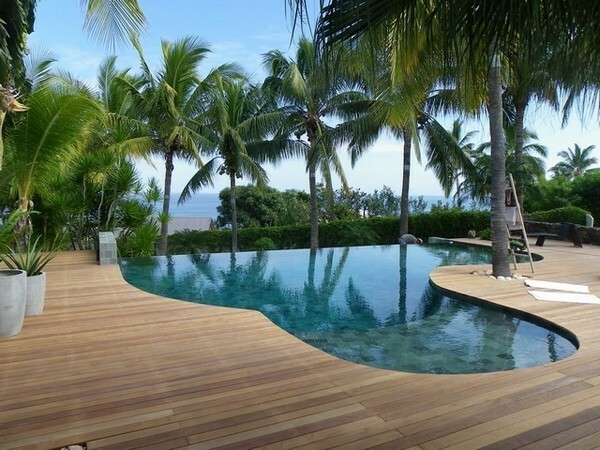 The overflow swimming pool is unquestionably the most surprising swimming pool model. 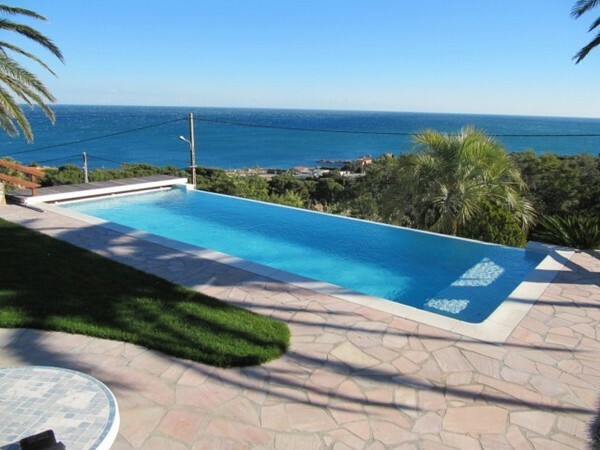 The water overflow can be arranged on 1, 2, even 3 sides of the swimming pool, for a perfect aesthetic match between the water line and nature. 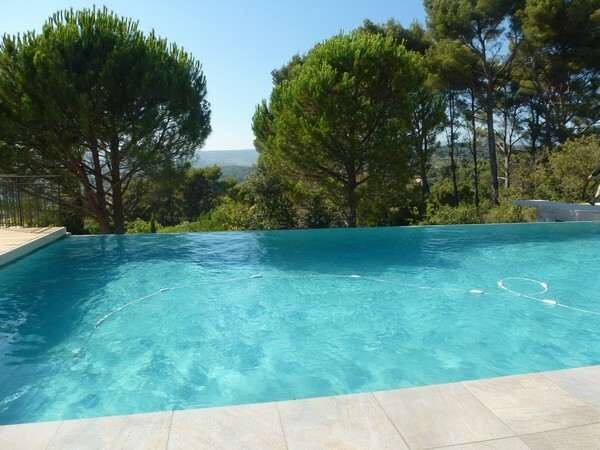 A rugged ground offering a panoramic view is the ideal place to build an overflow concrete swimming pool. 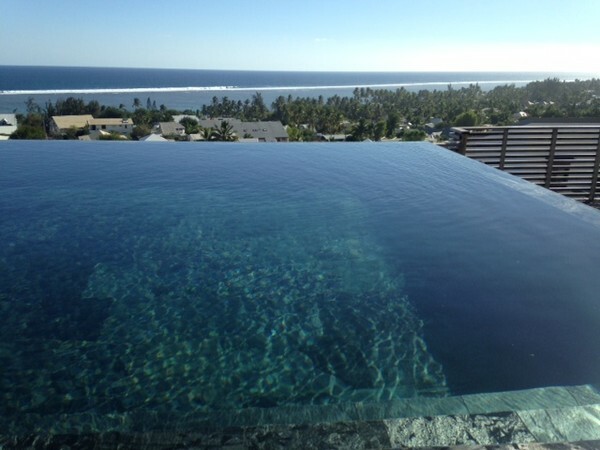 The visual effect of an overflow swimming pool is then spectacular and looks like the water falls off the swimming pool. 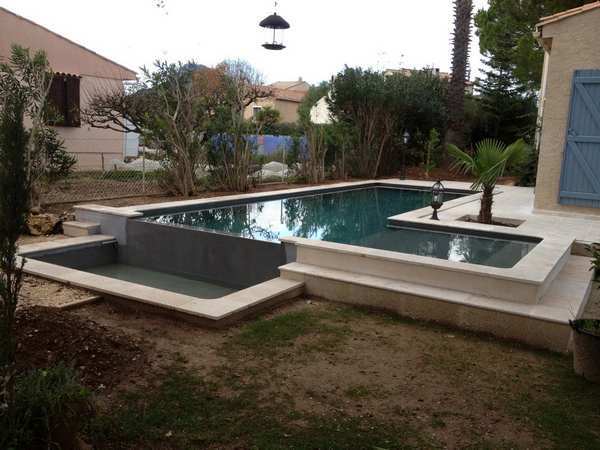 The MARINAL concrete swimming pools building method makes it possible to build overflow swimming pools on sloping grounds, on the fringe of a difference of levels, even on awkward positions. This construction technique must not leave anything to chance. 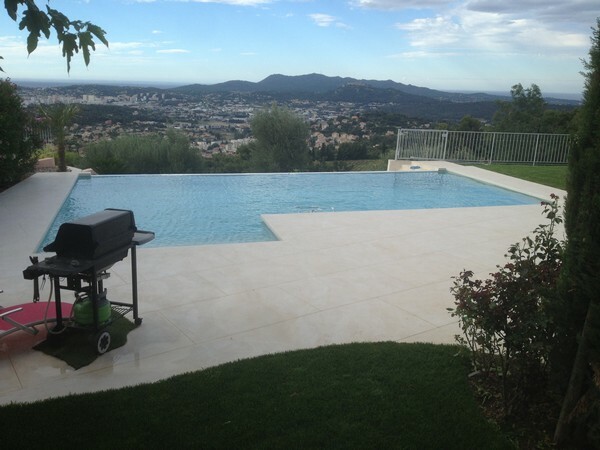 Only a reinforced concrete construction could be considered in these environments. 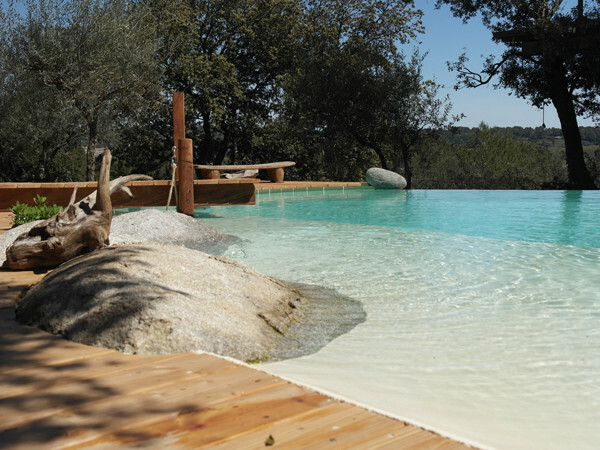 The MARINAL know-how meets these requirements to obtain the most aesthetic result, in line with the safety standards. 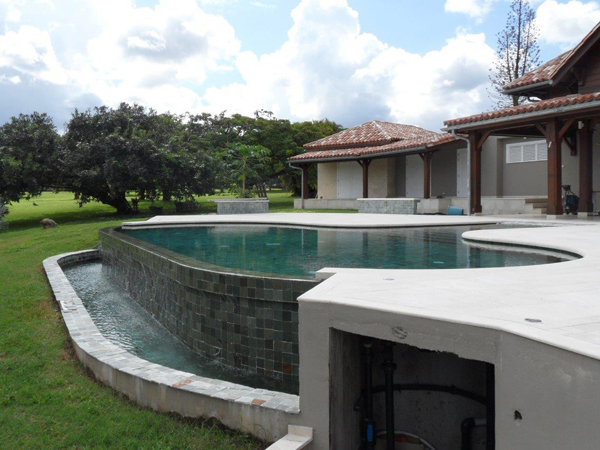 The water falling off the overflow swimming pool is recovered in a second pool, called chute or buffer tank. In this configuration, there is no need to install a skimmer. 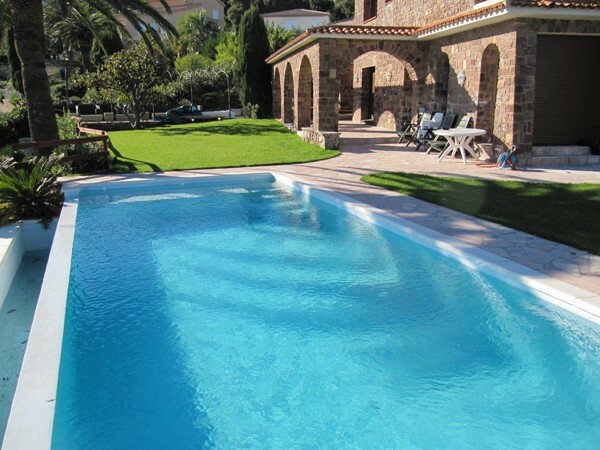 The continuous flow of water allows a perfect cleaning of the water surface, for a perfectly clean swimming pool. 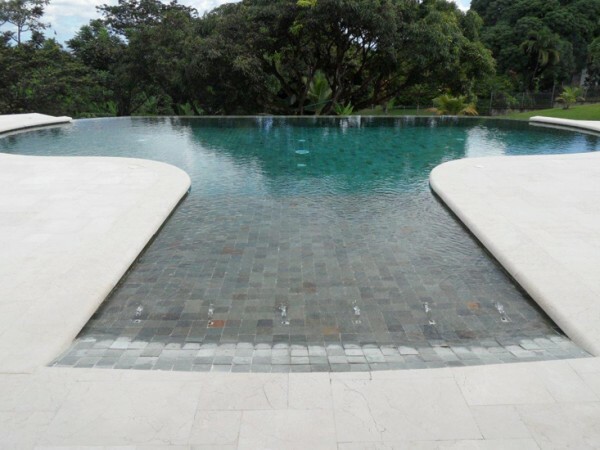 The construction of an overflow concrete swimming pool is more complex than for a traditional swimming pool. 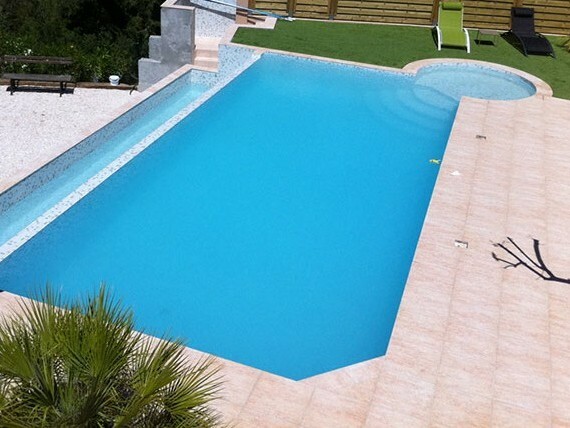 The price will depend on the swimming pool surface, on the number of overflow sides and especially on the constraints of the ground. 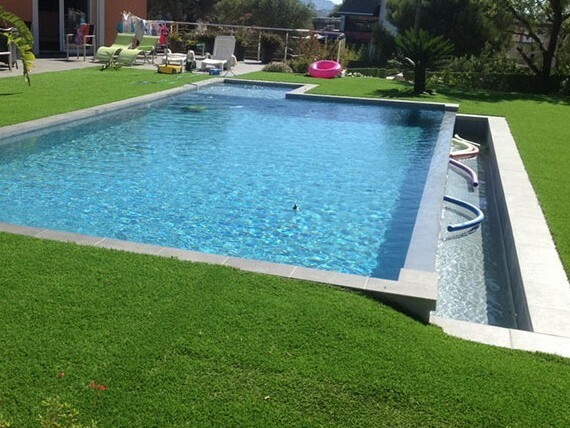 Please contact us to fix an appointment in order to evaluate the feasibility of such a project in your garden.